This Steven Khalil dress was just a dream to wear. The dress itself is heavily beaded with ivory coloured beads and the base a beautiful blush tone. The dress is fully boned from the bust to waist, the train is quite long however can be bustled at the back or carried with the hand strap. The arm bands add the perfect touch, with the dress looking beautiful with or without wearing them. The dress has a duchess silk over skirt which I chose not to wear on the day. The dress has hooks which the over skirt attaches to, these are hidden within the bead work. 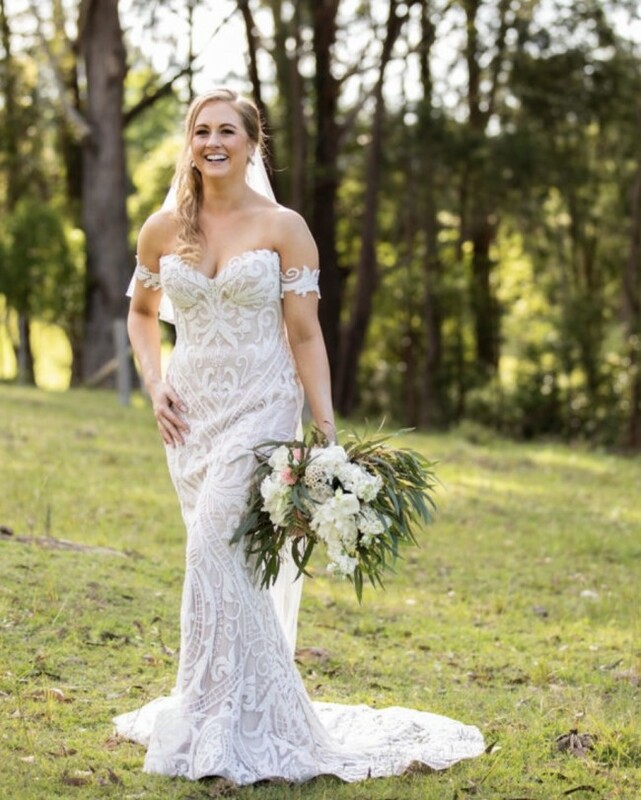 The veil I wore is included in the price of the dress, it is a two tier ivory with beads on the edges which matches the bead work on the dress. I am usually a 10 or 12 in clothing. I am 172cm tall and I wore 10cm heels. The dress has been dry cleaned by Steven Khalils recommended dry cleaner however on the inside in the lining there are some slight marks still from my spray tan which rubbed off. 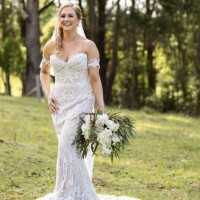 The dress can be altered but it will need to be done by a professional who specialises in beadwork. Please contact me for further enquires or more photos. Once you send a message, Sheridan can invite you to purchase the dress.